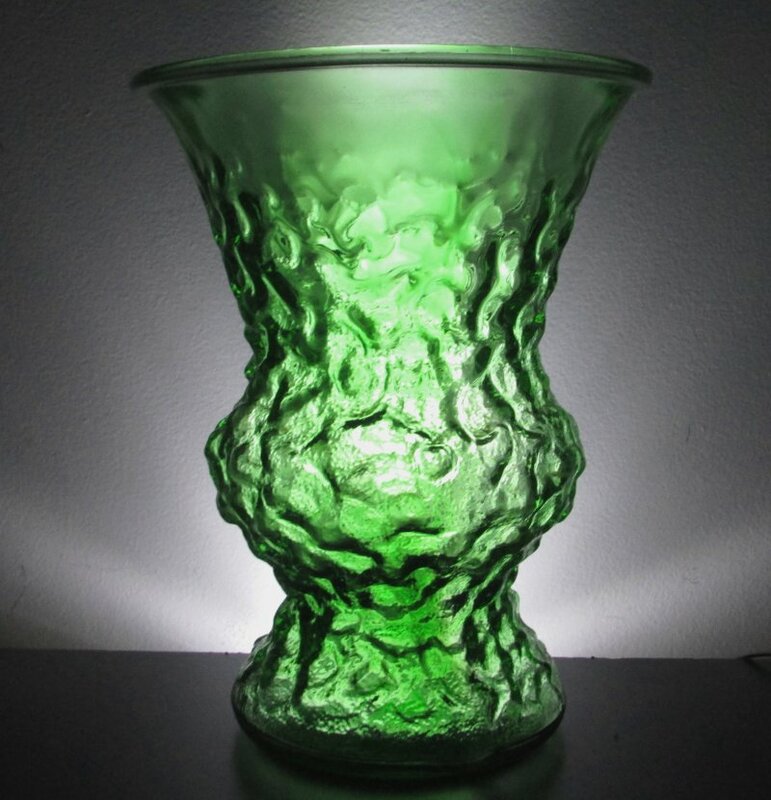 Large Floral Vase with a crinkled design accents this depression glass, sometimes also referred to as 'rocky'. 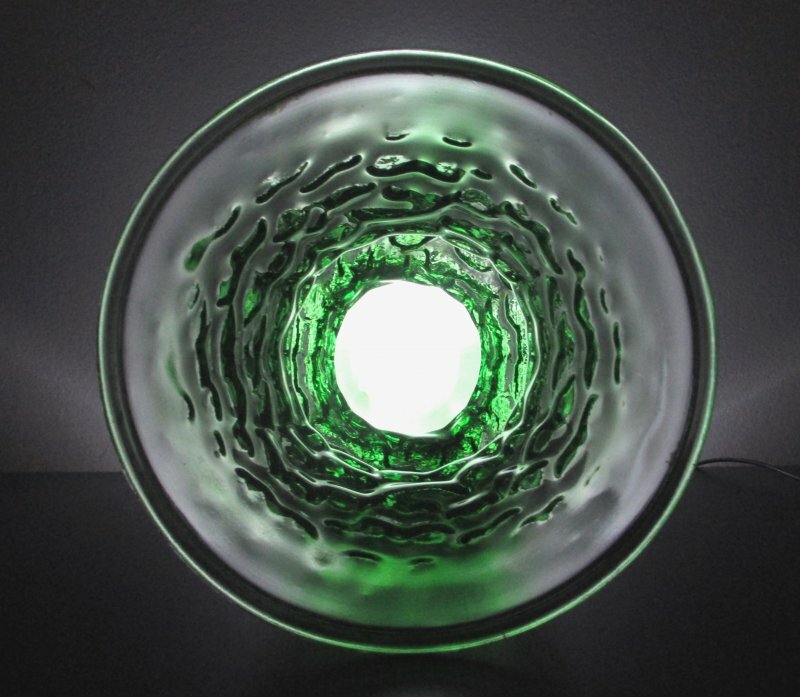 Stands 10 inches tall and measures 7.5 inches wide at the rim. Base measures 5.25 inches. My research indicates these were manufactured by Indiana Glass, and distributed by E.O Brody Co to florists in the 1960's and 70's. This vase is substantial, great for large and full bouquets. in the 1960's and 70's. This vase is substantial, great for large and full bouquets. Indiana Glass manufactures tabletop and decorative glassware containers for the retail, private label, candle and floral markets. E.O. Brody markets and distributes vases made by Indiana Glass to wholesale florists, large floral buying groups and flower shops. 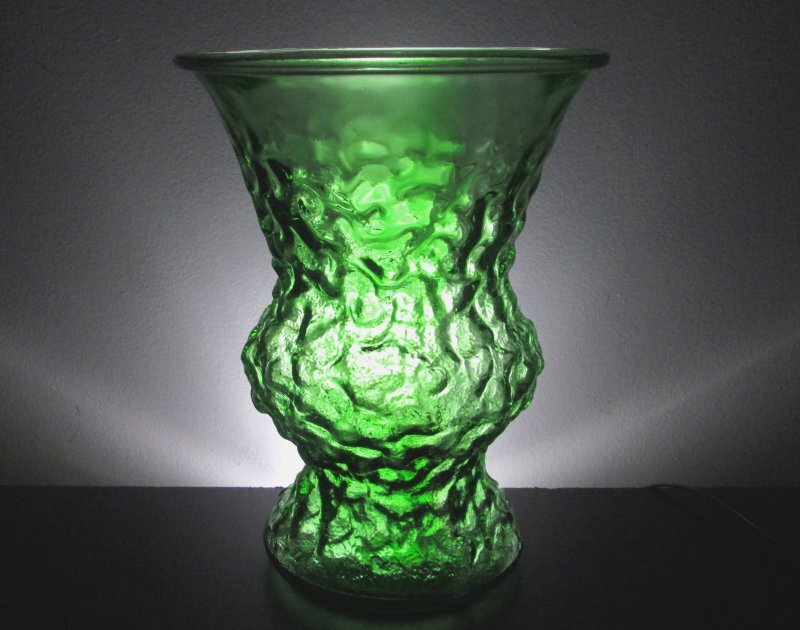 Vase is in excellent condition with no condition flaws noticed.